It’s been a beast of a year for snow in the Sierra Nevada range. This is the time of year—April 1—when the snowpack is typically at its peak and on Tuesday, the monthly manual survey revealed a snowpack at 162 percent of the long-term average, thanks to more than 30 atmospheric river storms that swept across the state over the winter. Ski slopes are still expecting to be open this summer on the 4th of July. Mammoth Mountain, which soars to 11,000 feet in the central Sierra, has had 50 feet of snow pile onto its sweeping inclines. 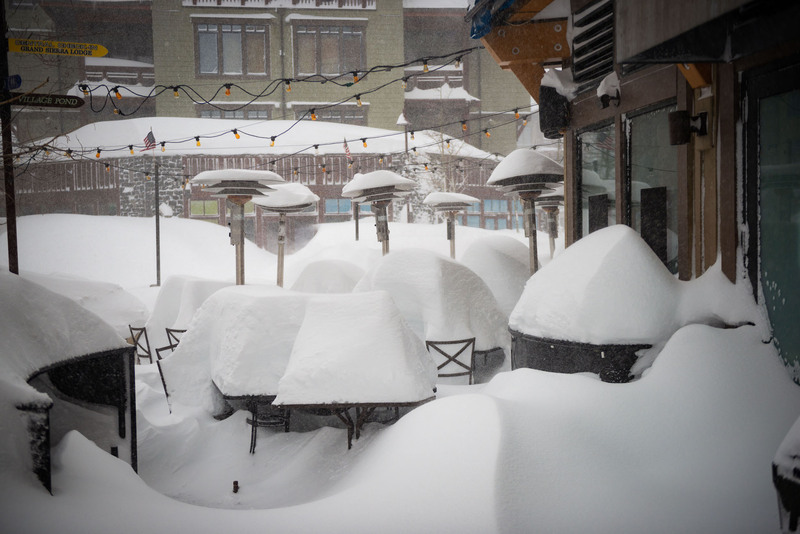 The nearby Mammoth ski resort tweeted that it had broken its snowfall record for February—and it was only two weeks into the month. "Absolutely fantastic," is how Ben Hatchett sums up the snow season. Hatchett is an atmospheric scientist at the Western Regional Climate Center in Reno, but he'll rhapsodize at length about how the storm sequence lined up to produce a "dream season" on the slopes, with few intermittent melts and little rain at high elevations to create the fabled "Sierra cement" snow conditions. "We never got those storms that end and then the sun comes out and it goes to 42 degrees, and everything gets cooked," Hatchett recalls. "It just really stayed incredible for what we were hoping would be days, but then turned into weeks and then even to months." "It's been a wild ride," admits Lara Kaylor, who works in the tourism office in Mammoth Lakes. She lives in a lower-elevation part of town, known locally as the Banana Belt. "Our snow banks are probably only about 20 feet high," she muses, "versus 40 to 50 feet high." And she's not kidding. Kaylor says some extra snow shoveling is a fair trade-off for the obvious benefits. Tax collections from the tourist economy have already topped $3 million in the town of Mammoth Lakes, setting a local record. The town is nestled just below California's highest ski slopes, which are projected to be open on the Fourth of July this year. "It's just kind of mind-blowing to people that you can come and ski in June," says Kaylor. 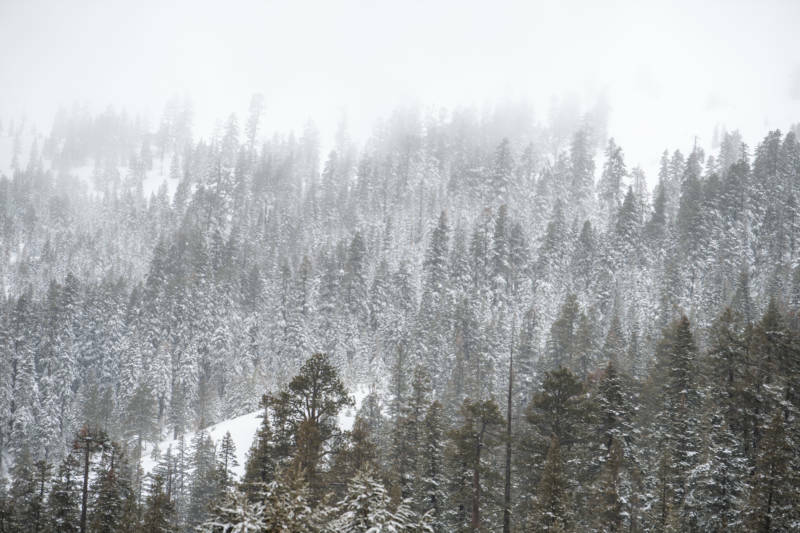 The string of cold storms was also a boon to California’s water supply, increasing snow cover even at lower elevations. "We had such low [elevation] snow levels that we were able to accumulate snow over a humongous area of the Sierra Nevada," notes Hatchett. "There's a snowpack at two-or-three-thousand feet this year." Californians count on Sierra snow for about a third of their water supply. For flood managers, though, it's right on the brink of having too much of a good thing. An abrupt warm-up at this point could melt much of that accumulated snow and send it cascading into reservoirs that are already brimming—or at least at the point where operators are required to start releasing water to maintain room for flood control. It was a pulse of runoff two years ago that caused the collapse of both the primary and emergency spillways at Oroville Dam in Butte County. The state's Department of Water Resources says the first test of the newly rebuilt spillway could come as early as this week. And Hatchett says that, unlike the winter just passed, the outlook for this spring is for above-average temperatures throughout most of California.